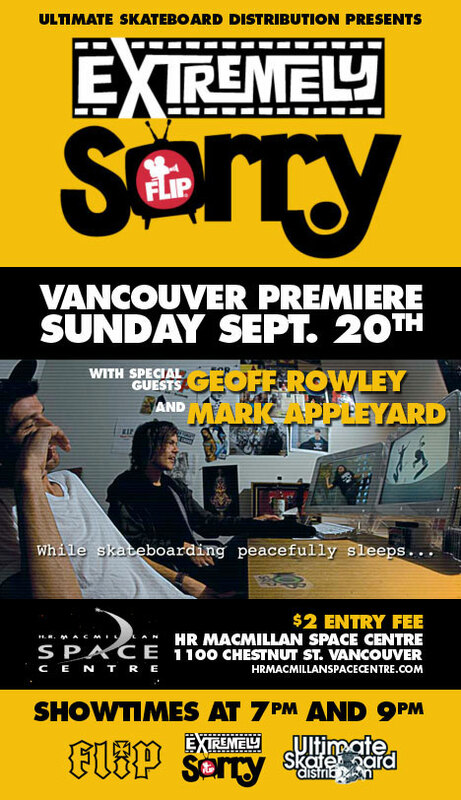 It’s a good weekend for video premieres… This Sunday, Sept 20th at the HR MacMillan Space Centre the long anticipated Extremely Sorry video premiere is going down. 2 show times, 7pm and 9pm. $2 entry fee. Barriers are here to stay!